Peacock theme living room decor is so easy with beautiful peacock themed accessories. 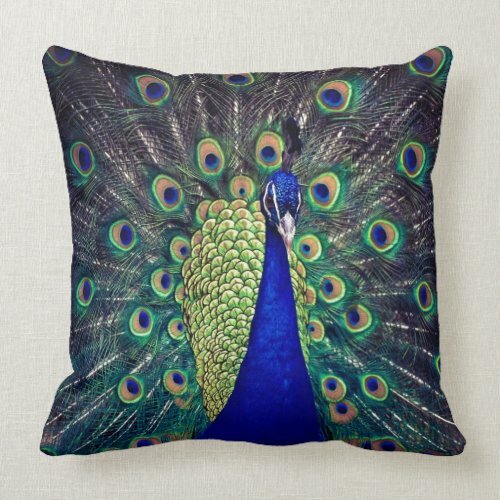 Do check out my peacock bedroom decoration ideas for peacock bedding & pillows, and also ideas for peacock night lights and peacock wall art stickers & peacock paintings. If you want to decorate your entire home in peacock theme, that will look awesome, you can start decorating each room and I have already covered many ideas on peacock themed bedroom decorations. Now let us focus on peacock living room decorations. Living room is the place where you can display your home decorations to your guests and show off your pretty home. 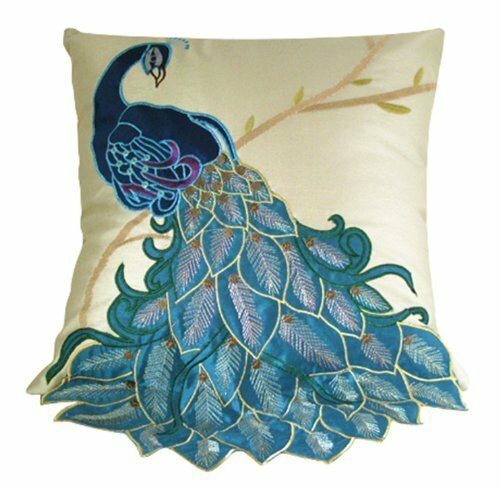 It doesn’t take much work to decorate a peacock themed living room, as many beautiful peacock accessories are available online which you can buy and decorate your living room so easily. As I have mentioned in my previous posts on peacock decor for bedrooms, there are many choices even with peacock themed decor. You can choose the most popular blue peacock color to decorate your peacock themed rooms or you can choose green peacock feathered designs for a green color accent or you can also use golden colored or more colorful designs in peacock modern art, to decorate your living room. You can also use a mix of green and blue peacock accessories, as the green and blue are very matching colors with very good contrast. So that is why I said decorating your living room using peacock theme accessories is easy and you do have a lot of choices with this most pretty theme! Peacock themed living room decor is quite a vast subject wit various aspects to discuss, so just like we did for peacock bedroom decor, we will discuss the peacock living room decor in multiple posts. I will cover each aspect in depth, and so here let us have a quick look on ideas for peacock living room decor with the most important things you need to focus on. Although you can decorate any living room with peacock accessories to make it look peacock themed, you may choose peacock blue, green or golden shades if you like. The first and most important thing for a living room is the couch or sofa. Living room is usually the room with many furniture (not necessarily though, its your choice) and the most important is usually the couch or sofa. 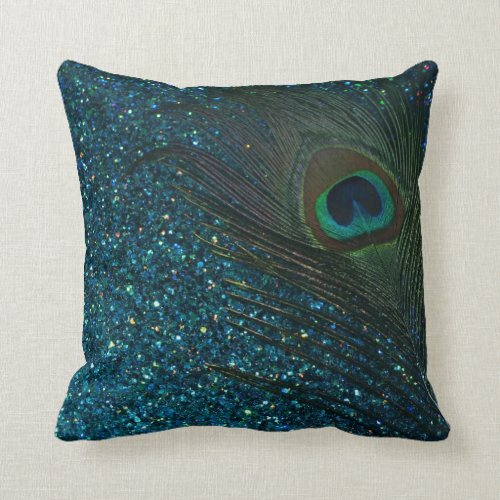 You can easily decorate your sofa in peacock theme using peacock pillows for sofa or you can use peacock pillow cases for the pillows you have. 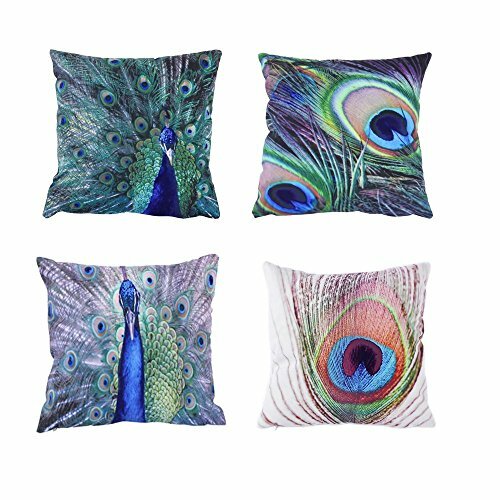 Choose the right sized peacock pillows for your sofa or choose the right sized peacock themed pillow cases or covers for your pillows that you already have for your sofa. 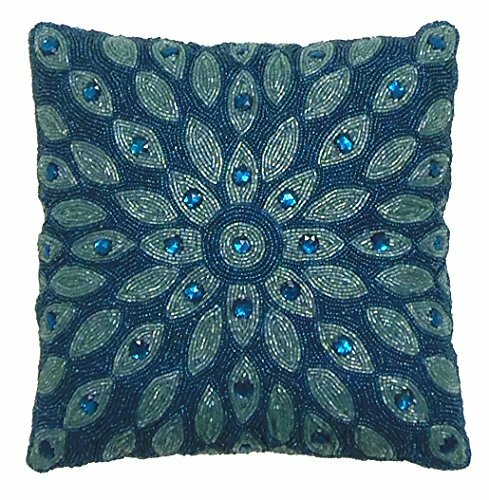 See the below peacock throw pillow from Amazon which can be used for sofa or couch for living room or even bedroom decorations. 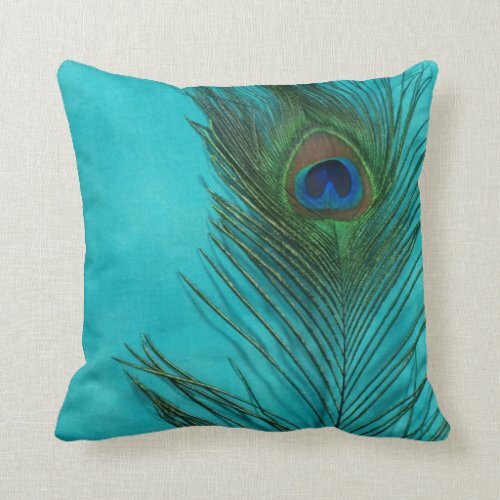 This is a very beautiful blue peacock themed throw pillow which is square and it looks simple, elegant and royal. 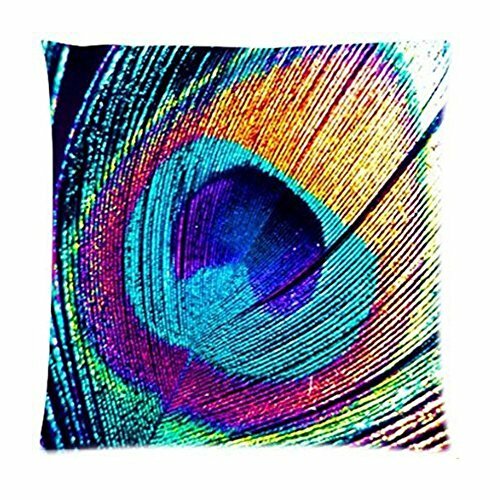 Throw pillows are decorative pillows which can be used in a couch or sofa (you may also use in bedrooms though) and you can find a vast collection of peacock throw pillows in Zazzle which can be used for living room decor. These pillows from zazzle can be personalized as well by adding your own texts, names or photos. 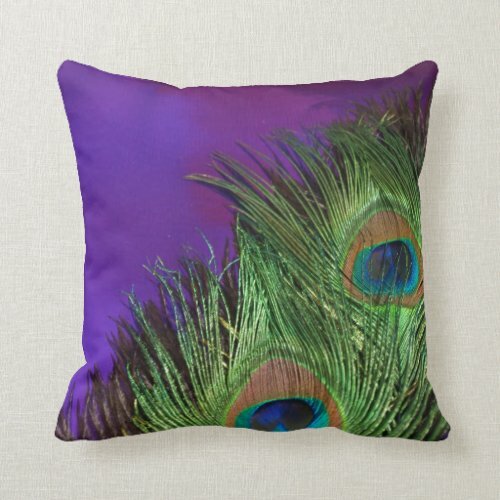 See some of the most popular peacock pillows from Zazzle for peacock theme living room decoration, which you can personalize as well. Hope you found this post on peacock theme living room decoration ideas including peacock pillows and peacock pillow cases helpful. 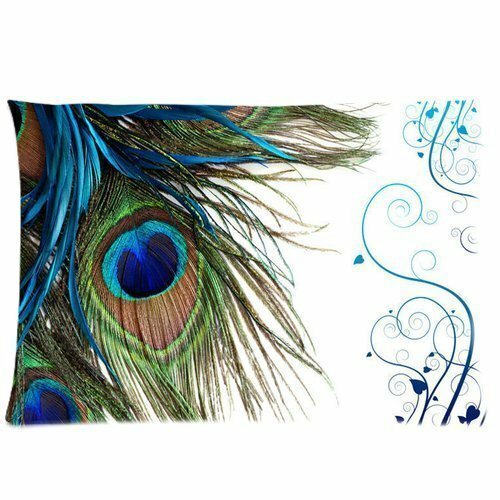 We will see more peacock accessories for living room like peacock cushion covers or cushion protectors and more & more in the coming posts!